From the servants’ quarters of a manor house on the brooding Yorkshire moors to the helm of a profitable international business, Emma Harte’s life is a sweeping saga of unbreakable spirit and resolve. Rising from abject poverty to glittering wealth at the upper echelons of society, there is only one man the indomitable Emma cannot have--and only one she yearns for. 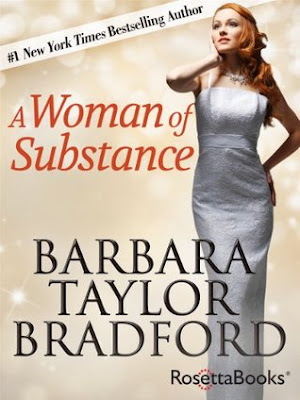 This record-shattering New York Times bestseller was Barbara Taylor Bradford’s breakout novel, and is one of the top ten bestselling books of all time. It tells the story of a determined woman who will face betrayal from those closest to her, as well as the loss of a great love, only to emerge triumphant. The subject of a popular 1984 miniseries starring Jenny Seagrove and Deborah Kerr, this book has built a passionate fan base over the years--and continues to inspire today. This is the story of Emma Harte, a poverty ridden young woman employed by a wealthy family, who eventually works her way to the top of a rich and powerful business empire. Her personal disappointments, hardships, loves and losses all play a role in solidifying Emma’s fortitude, as her instincts for human nature develops, helping her to become a wizened, formidable businesswoman. But, as she schemes to preempt a coup de grace, the reader is transported back in time to Emma’s humble beginnings, following her through the years as she builds her business, makes friends and enemies, makes fateful decisions, falls passionately in love, all while plotting her revenge against the powerful family that betrayed her. In 1979, this book was of zero interest to me, but I think I vaguely remember hearing some buzz about it. I think it was one of those books everyone was reading and talking about, especially those a few years older than me. But, I was in my mid-teens when the book was published, and I just didn’t find many long family sagas of interest. It wasn’t until a few years later, after I graduated from high school that I began to read anything besides horror or mystery novels. Still, I don’t recall reading anything by this author. (although there were some passages in this book that seemed vaguely familiar) I did, however, read plenty of Judith Krantz, Barbara Delinsky, Danielle Steel, and Jackie Collins- to name a few. But, over the years, the historical sagas- the ones that continued over several subsequent installments became a huge favorite of mine- but still I didn’t put this book in that category, for some reason. such a huge TBR pile and review deadlines, the length of the book deterred me. However, when I realized the book was in digital format- and in the Kindle Unlimited program I decided to finally take the plunge. Now I am asking myself why on earth it took my so long to read this book! I loved it!! This story once again reminds me of how much I miss those epic sagas!! Emma’s life story was an amazing journey, and she is an inspiration and model of true grit and determination. There’s nothing better than a ‘rags to riches’ story, especially when it features a smart woman willing to do what it takes to become successful. Emma got a few lucky breaks, but mainly she was smart, thought ahead, and worked hard. Her drive may have stemmed from unhealthy emotions at times, but who could blame her? It just made her success that much sweeter!! There are several more additions to this long running saga and I can not wait to read them!! I see now why this book was so popular and remained so for decades, and why so many people still say it is one of their favorite books of all time. In the meantime, I hope the family saga makes a comeback in one form or another. They really are awesome! 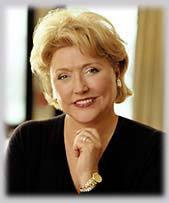 Barbara Taylor Bradford is the author of 30 bestselling novels, including The Cavendon Women, Cavendon Hall, and The Ravenscar Dynasty. She was born in Leeds, England, and from an early age, she was a voracious reader: at age 12, she had already read all of Dickens and the Brontë sisters. By the age of twenty, she was an editor and columnist on Fleet Street. She published her first novel, A Woman of Substance, in 1979, and it has become an enduring bestseller. Barbara Taylor Bradford’s books are published in over 90 countries in 40 languages, with sales figures in excess of 88 million. Ten of her novels have been adapted into television mini-series starring actors including Sir Anthony Hopkins, Liam Neeson, Deborah Kerr and Elizabeth Hurley. She has been inducted into the Writers Hall of Fame of America, and in June of 2007, Barbara was awarded an OBE (Order of the British Empire) by Queen Elizabeth II for her contributions to Literature. She lives in New York City with her husband, television producer Robert Bradford, to whom all her novels are dedicated.